The Parish of St John Ogilvie's is served by Priests of the Oblates of Mary Immaculate. 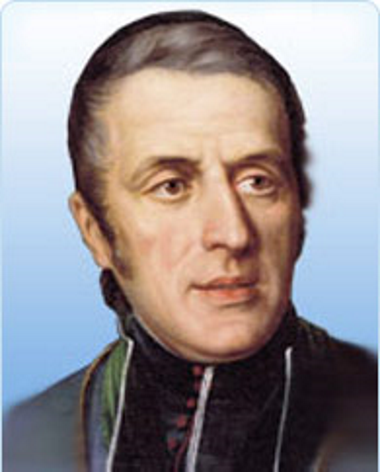 The Missionary Oblates of Mary Immaculate (OMI) is a religious order of the Roman Catholic Church founded on January 25 1816 by Saint Eugene de Mazenod, a French priest from Marseilles. It was first recognised by Pope Leo XII on February 17 1826. Originally established to revive the Church after devastation by the French Revolution the religious order now serves in various countries around the world. Though they originally focused on working with the poor, they became known as a missionary and teaching order as well. 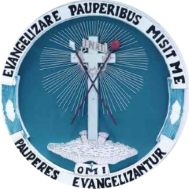 In 1938, Pope Pius XI called them "specialists in difficult missions". To learn more about St Eugene please visit the Oblate website by clicking here. More information about the life of the Oblates and their mission can also be found here. The Oblate Vocations Director is Fr John McFadden OMI, Sacred Heart Church, Quex Road, Kilburn, LONDON, NW6 4PS, e-mail address: j.mcfadden@oblates.co.uk. For further information about about possible vocations to the Oblates, please contact Fr John. Information is also available on the OMI Vocations website at www.oblatevocations.com.